“Welcome to Term!” is what I heard in yoga last night! Even though normal gestation is 40 weeks (or longer), babies born after 37 weeks are not considered premature. Very thankful we have made it this far! I’ve definitely been feeling things happening down there. Things that if I were 40 weeks I would be like ‘This is it’ no ‘THIS is it’ all day long. But although I know there is a chance he could come any day now, these twinges, cramps and what I can only describe as “cervical awareness” are likely just my body getting ready. For example, when I woke up on Saturday feeling kind of off I did wonder if perhaps it was the “sick before the storm,” but alas, I think I was just tired! I’ve never needed naps like this before. My mom recently said “We’re getting a kick out of this because you’ve never been tired in your life!” Sometimes in the afternoons I don’t even feel that sleepy – I just can’t keep my eyes open if I go horizontal! The difference in 36 and 37 weeks has been pretty drastic energy wise. I’ve been sitting on the exercise ball a ton, avoiding our cushy couches (not ideal for engagement), and doing squats and walking. They aren’t quite sure what starts labor, but my personal [totally uneducated, aside from reading on birth] opinion is that BOTH mom and baby have to be ready. In that sense, I think if a mom has fears about childbirth or just needs a few more days to mentally prepare, it might delay labor a bit. Just my personal opinion, but our childbirth class nurse said there is some truth to this and if you look at animals who go into hiding when they feel ready, it’s likely not all that different for humans. The Queen of Midwives also swears by the mind-body connection. So I’m trying to get my brain calm and mentally prepared. The nesting is pretty much done, so I’m focusing on the mental part now. It certainly can’t do any harm! I am sure that he is dropped some because this week my bladder is finally seeing the effects much more pressure. When we went hiking on Sunday, I was in such discomfort when we were on mile 4 and over an hour into our hike – I don’t think I can go more than 45 minutes without a visit to the bathroom these days! And not to be too specific, but when it feels like I have a gallon in there, it’s not much at all. Talk about compression! I’m getting up almost every night once to go to the bathroom, which is usual for me. When I’m not pregnant, I never get up in the night to go, and I haven’t really all that much during pregnancy until now either. Sleeping has actually gotten easier than it’s been in a while, and I have no idea why. Somehow I’m able to get more comfortable? Maybe I’m just more experienced with the pillows now : ) I have a standard head pillow on one side and a little pillow I wedge into my back on the other. I’ve also been able to reduce my glute fatigue by nearly sleeping on my stomach – I put the pressure slightly forward on my hip bone instead of stacking my hips totally on my side. It doesn’t work every night, but it’s better than it was. Ribs are on and off depending on babe’s position. If he’s up there with his legs, worse. When he’s super dropped after a walk, better. I have a numb spot on my stomach from all the nerve trauma his little body has caused! Lastly, I’ve noticed my hands and toes are a little swollen for the first time. More after a walk, so I need to increase the hydration, which is hard with all the peeing! Doctor says 99.9% of women experience swelling in the end and since my blood pressure is still very low, it’s not a concern. At my appointment this week, I was 1 cm dilated!! Also “softening.” No effacement yet though. I also found out I’m group B strep positive, which is just a common bacteria that some women have in their bodies. The bad news is that it means antibiotics by IV during delivery, which is not something I wanted to have to deal with at ALL. But it’s a serious health risk in the worst case scenario of passing it on to the baby, so also not something I’d refuse. I’m just pretending it’s standard part of the routine of birth and that the little guy requested it for his protection. I still can’t wait to see what real contractions are like. I think I have Braxton Hicks regularly, but it’s so hard to tell! I notice them most in the night when I roll over and things. I am still feeling very patient – not in a hurry to get him out. I would like him to stay in until 39 weeks, 6 days : ) But I’m also getting really excited, and it’s a really fun change to feel things and not worry that he is coming too soon. I never thought I’d welcome cramps so much! Your hair coloring looks great in these pictures! Don’t worry about being Group B strep positive. It’s really common. We are lucky that they test for it in the US. The end of pregnancy can be so consuming. In a few days/weeks none of this matters, you’ll barely care, because he’ll be here! It’s amazing how it changes the instant you have Him in your arms! I’m entering the rib pain/uncomfortable sleeping stage now… ugh! I guess at 29 weeks she’s big enough to have her little feet up in my ribs? Because that’s what it feels like. Only it’s all the time… hmmm. Anyway, I am getting so excited for you! You’re so close! i remember the feeling of excitement and anticipation to meet my baby in those last few weeks. Enjoy every moment! You have hot legs, mama! And you look fabulous. Wow you are getting so close! Exciting! I am 25 weeks and I already have to get up 2 to 3 times during the night to go to the bathroom. Sounds like it will be even more frequent as my due date gets closer. I am also group B strep positive so have to do the antibiotics via IV – not looking forward to that! I’ve never had an IV and it kind of freaks me out. I’m hoping too I’ll still be able to move around with the IV and not have to stay in the bed. Congrats on full term! Yay!! I was positive for GBstrep as well, you can still move around, but while they are administering the meds, you just have to take your IV stand, with you. Glad you’re doing so well! 🙂 …..Wasn’t it a shock to hear that you were dilated!?! (and exciting too!) I was in.complete.shock. when the doctor told me I was dilated at week 35. It made it seem soooooo real! I was 4 cm dilated at 35 weeks. I was so excited that meant I would have her a little early…I was that dilated for over a month! I guess my body was ready but baby wasn’t so its a good thing she stayed in. But hearing that you are dilated towards the end really is SO exciting! Oh how exciting! My baby turns 1 tomorrow (the 16th)! I remember labor/delivery like it was yesterday. I started contracting the night before (the 15th) and I had no idea I was actually having contractions. Having never had them before I didn’t know what to expect. For some reason I thought they’d be higher but they definitely felt low like menstrual cramps. I contracted all through the night but never so intense that it was painful though I didn’t get much sleep. Once I hit “transition” things happened very, very fast. So anxious to see the little guy! I was GBS positive with #1, but negative with #2. I guess the bacteria makeup in our bodies is continually changing. I got to the hospital too late for IV antibiotics, so the nursing staff just watched baby carefully (took extra temp readings) during the first 24 hours. you look GREAT! cannot wait to see your little guy! where did you get that shirt?? I’m 17 weeks and LOVE it. You look beautiful. The video you posted was so surreal to me. I cannot imagine what it must feel like to have something move inside you like that. Is it painful when he kicks or just odd? Thanks! It’s mostly just odd.. But sometimes a bone hurts! The mind-body connection is huge in everything with life, I believe, and especially with birth! Congrats to making it to term and for the full report about how you’re doing and what you’re going through. Reading it all makes me remember back to my own tail end of pregnancy. The memories! You’re looking great and things are getting real. Isn’t it surreal? I’m in my 34 weeks and just can’t believe that we’re close to the end of the real thing. I envy you that you got tiredness just this week… I’ve been feeling tired and needing more sleep for the last two weeks and as you said my family are shocked because i’ve never felt that tired and slept that much during my whole life! 😀 I guess we’re stocking up on rest and sleep for the baby arrival. Do you still feel a lot of movements lately? Do they hurt? I’ve been feeling uncomfortable these days when she roll and kicks (knees or elbow). Sometimes I see a big bulk of thing coming out and I’m afraid that my belly will break. you look gorgeous, kath! and i love your outfit. it’s so cool that things are so far along now that you just get to enjoy all the little movements and feelings without worry. You’ve done a really great job blogging about your pregnancy. You’re absolutely glowing in the fourth picture down. i just emailed you some GBS homeopathic treatment options that I used during my first pregnancy. Feel free to contact me with any questions! 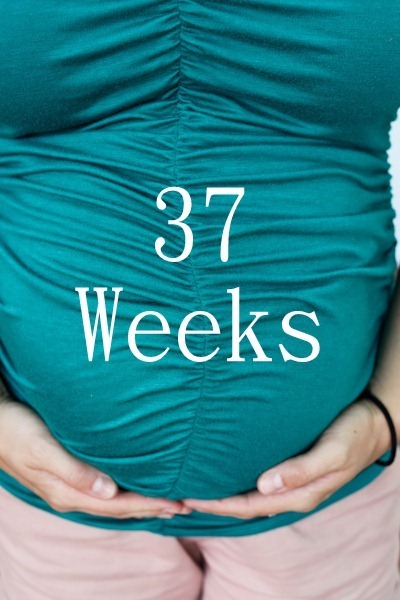 Why 39 weeks, 6 days? I’m still confused. What’s wrong with 40 weeks on the dot? Or longer? You really do look so great, Kath! So excited for you!!! Don’t worry too much about the GBS – I’m a lab scientist & we see plenty of positives from OB patients. I know having an IV isn’t ideal, but it’s definitely best for the baby! 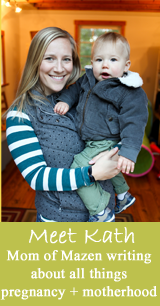 I’ve been following you on this blog but never posted before… first you look great! I’m so impressed that you’re still able to hike and exercise, it gives me hope for when I’m pregnant (wayyy in the future lol).. I was a premature baby (1 month early), my Mom had no idea what was going on haha but I was fully developed 🙂 She always says it was the salsa she had the day before haha and it’s no wonder I like Mexican food 😉 Can’t wait to see your little guy! You just look fantastic! Everything is coming together perfectly and you really make it look easy. I agree with your thoughts on having both mom and baby ready. That totally makes sense. A relaxed mama definitely helps in my opinion.. they say that’s why so many women go into labor in the middle of the night when their bodies are relaxed. I had Strep B too. It was kind of a pain having to walk/move around with the IV but besides that it was no big deal. You look fab! I’m glad you are taking time to rest and listen to your body after all that incredible nesting you did. I understand that urge – I put together several LARGE pieces of Ikea furniture when full term, but I’m so glad I took extra time to relax as well. I totally remember the feeling of having to pee SO bad and then I would hardly go at all. Ha! I was also strep B positive. Good luck!! I went into labor the day before my due date. I just knew I was going to have to show up to work on my due date and have everyone comment about it. But no! I was in labor! Woohoo! I was GBS +, too, and it was okay. As someone else said, they just administer the meds every few hours into your IV lock and you roll the IV stand around with you until the meds are done. I was even able to take a shower with my hand connected to the IV. You can have a nurse cut the hand off a rubber glove and slide the wrist part over your wrist over the needle site to protect it from the water. Other than when I was getting the GBS meds, I did not have an IV. I will definitely be praying for you. Great thinking… protection for him! It’s not like you will be hooked to an IV pole the whole time. The dosing is only once every 6-8 hours depending on the antibiotics (taking any allergies you have in to account) and it only takes about 20-30 minutes to run it. You look fabulous! Rest and prepare to fall in love at first sight! In my final month of pregnancy I slipped into what I called my comma sleep. I had slept terrible throughout the third trimester, and all of a sudden in that final month would pass out at 8 or 9 and not even wake up to flip hips or pee (a frequent issue in that third trimester). I would slip into a very deep sleep and have intense and vivid dreams, it was amazing! Ha. Your body is definitely gearing up! Gee whiz-I get up to pee most nights now! I can’t imagine how I will be if I’m ever lucky enough to be pregnant!! ill listen, although I hope he’s not going to make me want to challenge the doctors. I need their confidence on side to do this! Lucky you…I’m 24 weeks prego with my second and I’m already having major bladder issues!!! I’m so envious of you. I remember being pregnant with my first little guy and being SO excited. Wish I could go back and know what I do now…I would have enjoyed it more…I guess that’s true of a lot of things in life! We’re thinking about our 3rd (hoping for a girl after 2 boys) and this post makes me want to start trying RIGHT NOW! So excited for you!!!! About the group B strep–at our local birth center, they give you a dose of antibiotics every 4 hours but you don’t have to be hooked to the iv all the time–they put in a hep lock and give you the dose and then detach you from the iv for the next 4 hours. So you may want to ask about that possibility. As long as you are drinking lots of water during your labor, there is no reason to need to be hooked continuously to an iv and having the hep lock is usually a good compromise with the hospital so they still have access for the antibiotics and anything else that may come up. thankfully it won’t be a continuous iv. thanks for the link! Have you thought if Matt is going to just stand at your head during the delivery? Or do you not care? I don’t care – whatever he wants to do. He has expressed thoughts that he doesn’t want to see too much though. I have been following your blog because my EDD was 8/20. I am currently holding our little Ripken while typing this comment because he decided to show up 3 weeks early. I just wanted to wish you luck and an amazing labor and delivery. We were somewhat “unprepared” for what labor would be like (we specifically chose to not take childbirth classes) and it was the best experience. Definitely makes me excited for more babies! Best to you. Did you try anything to get rid of group strep before hand? 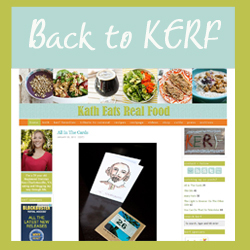 Probiotics, fermented foods, kombucha? I just found out I’m positive at 36 weeks and would like to try and beat it before the big day. I’m shooting for a natural childbirth as well, did it interfere at all with your delivery?